Today's eco-awareness plays an important role in the modern consumer’s mind. We all want to have products that not only beautiful and functional but also environmentally friendly. 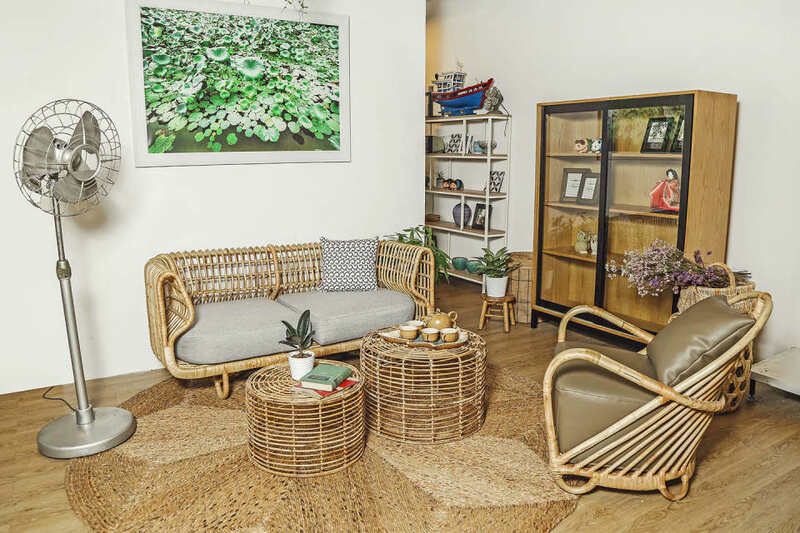 This is why the trend of using bamboo and rattan in interior design is becoming a hit not only in domestic market but also in other countries in the world. 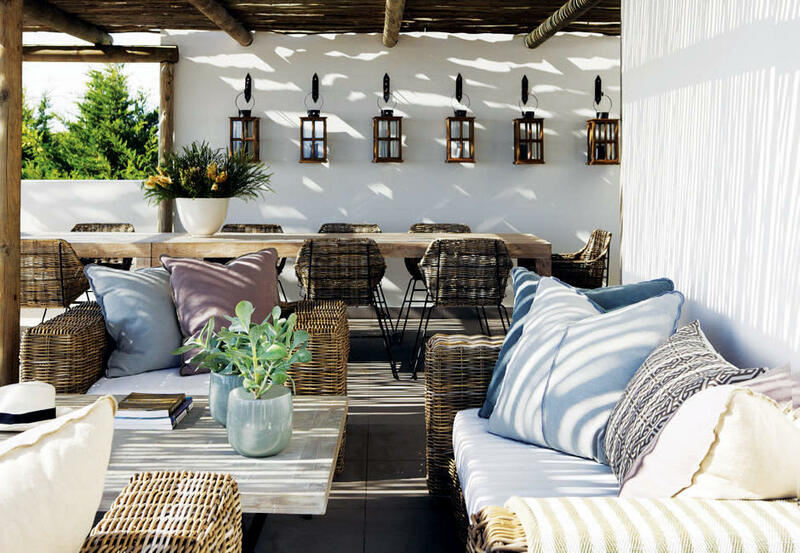 Combining form and functionality, bamboo and rattan can be considered as some of the best natural materials you can opt for. In a world dominated by stone, brick, concrete, and glass, bamboo and rattan will be an additional texture that adds warmth and elegance to your house. In recent years, bamboo and rattan furniture has become more and more popular in interior decorating. Environmentally conscious consumers with an eye for style now seen them as environmentally responsible alternatives to hardwoods and synthetic materials. 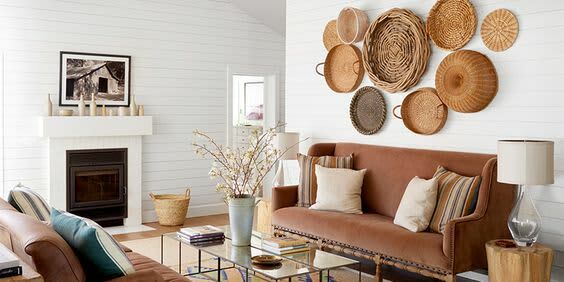 This can be considered as the biggest reason why you should go with bamboo and rattan when it comes to interior design. Rattan furniture includes the use of natural materials which is derived from the stem of the large rattans. It is a climber palm which is found in tropical regions of Asia and Africa. Bamboo is a woody grass so they grow a lot faster; the fastest growing woody plant in the world (able to reach its maturity in 3 to 5 years in most of the species) and can be harvested year after year without the need for fertilizer or pesticides. It grows ten times as fast as other trees and is much easier to renew than other types of wood used in furniture. This made it one of the most sustainable building materials. So people that prefer the warm tones of traditional hardwoods in their homes but would rather not add to the growing worldwide problem of deforestation can go both ways with materials. As we continue to search for ways to lessen our impact on the environment, bamboo and rattan may offer us the best chance to save our remaining forests so that future generations can experience the simple joys of a walk in the woods. 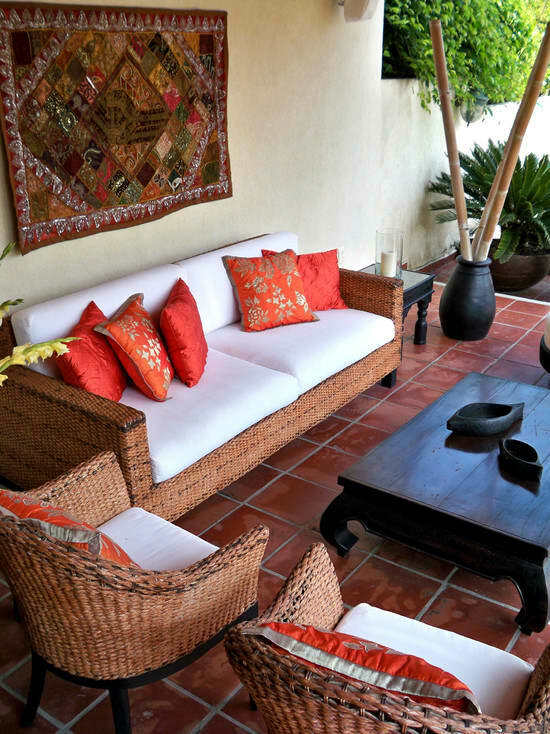 Bamboo/rattan furniture doesn’t require frequent polishing and maintenance like other wooden furniture. You just need to give it occasional polishing to retain its charm and elegance. The highest quality bamboo has a very competitive price (30% cheaper than oak) while still strong and doesn’t break easily; which will save you a lot of costs. Rattan furniture has the power to transform the decor of a home or office space with its incomparable versatility. 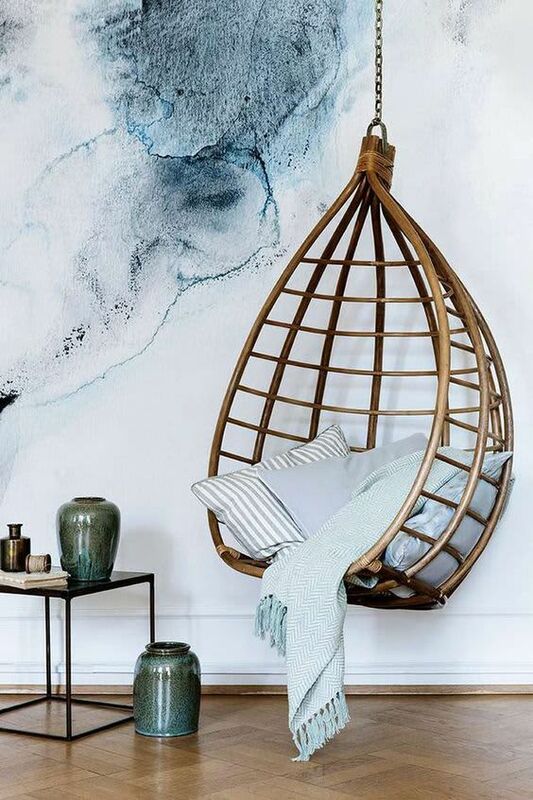 It can go with different types of furniture; can be placed in any part of the room or garden in a variety of ways, from modern, to vintage or traditional. Bamboo is also a very versatile material and is often used in various fields like building industry, architecture and design sectors. 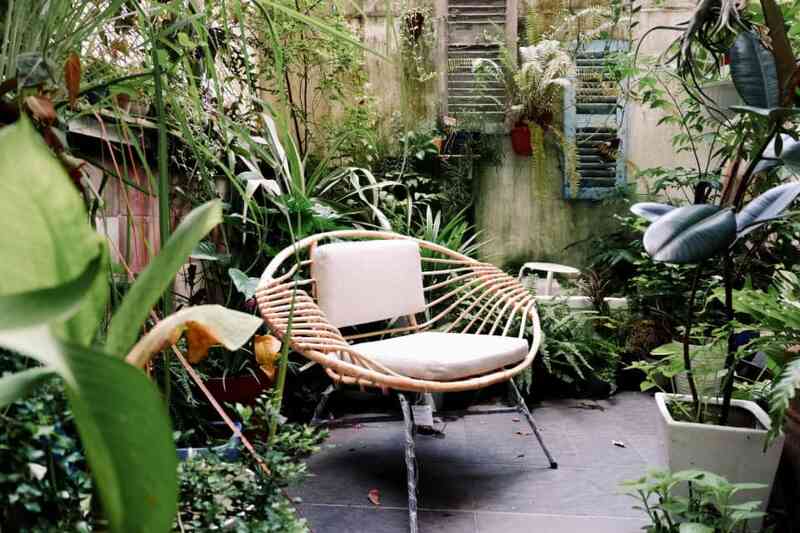 For a long time, bamboo and rattan have been used mostly in garden and patios as outdoor furniture as it has the immense ability to resist all types of climatic changes. They can withstand the wear and tear of everyday use and is far more resistant to damage than traditional hardwoods. They are also water-resistant and rust proof. The Japanese have said: “The best way to maintain a strong connection with the natural world is to bring nature indoors”. 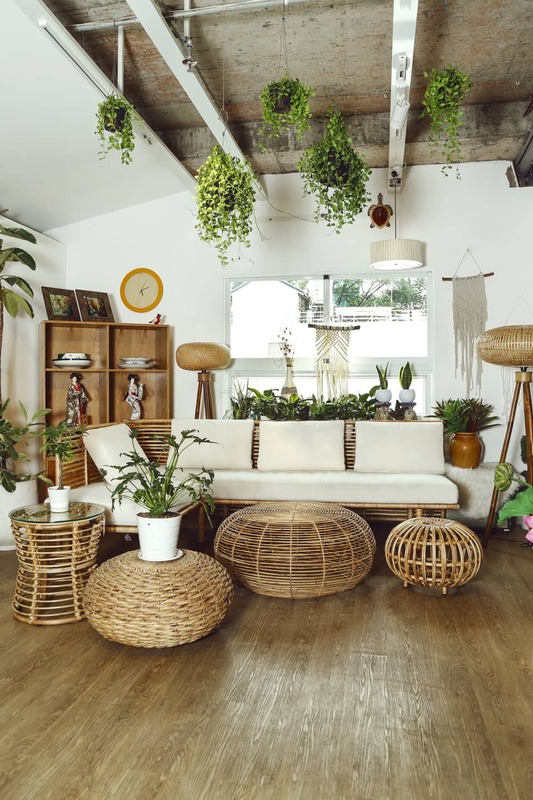 Bamboo and rattan are organic materials that provide you a connection to nature and help you to bring a bit of the outside in, in an elegant yet no-frills way that seems comforting and familiar. 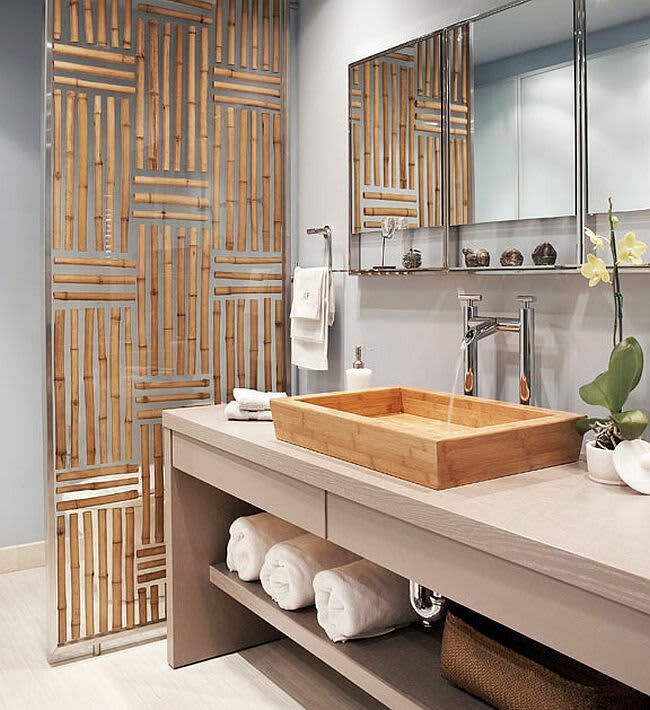 Bamboo itself is a classic-looking and pleasingly geometric shape that give your spaces a ‘Zen-like’ quality that is often associated with classic oriental design. The aim here is to shape a soothing, natural haven that helps you escape the rush of everyday life. 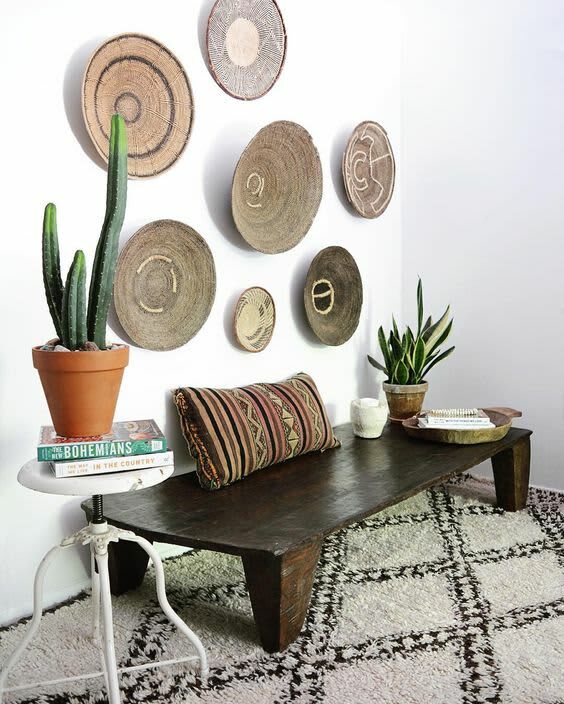 Being natural materials, they fit in with any color scheme that you have going, create a warm forest atmosphere, a serene calming effect for your home. You can have wood panels made from bamboo for flooring, wall and practically any part of a structure that you’d wish to put it. 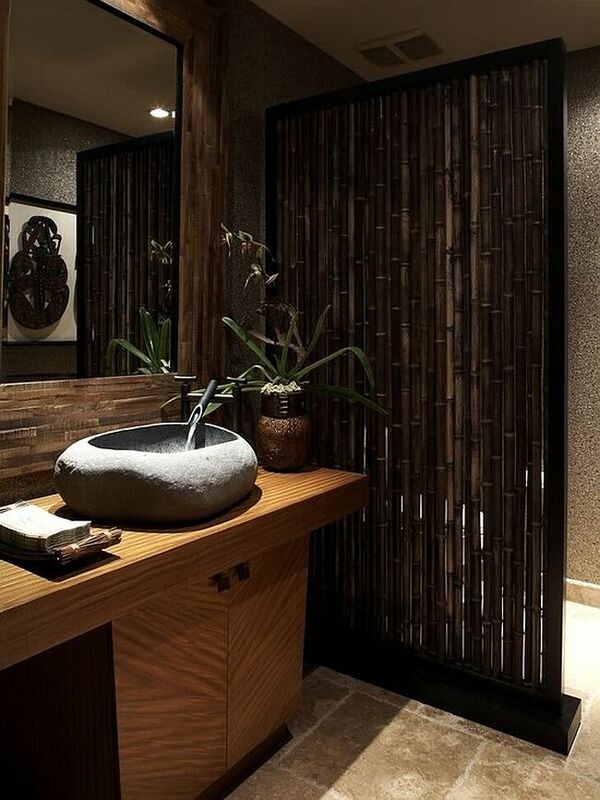 Bamboo wall cladding is also an eco-friendly and sustainable choice. The natural shiny yellow color of bamboo species saves time since you don’t need to seal or varnish it. 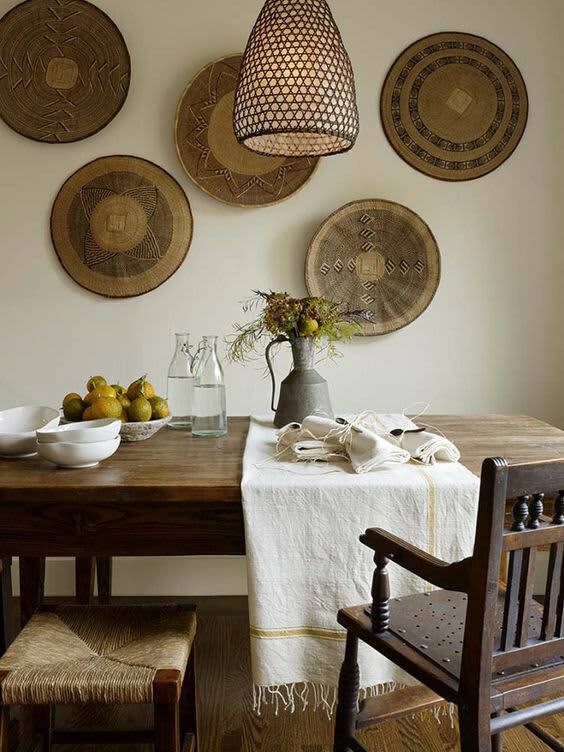 If you love the natural, fresh appeal of these materials but still not sure about using them as furniture, start small with lighting. 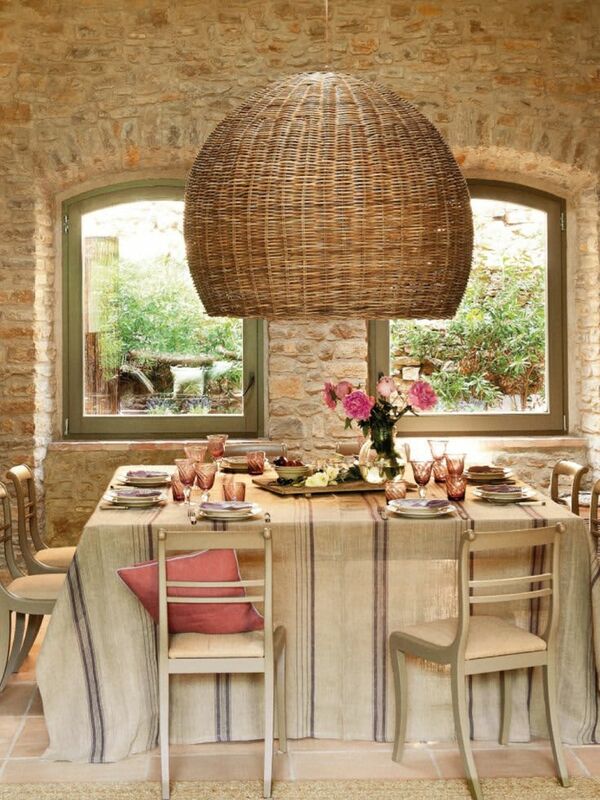 Woven lighting made from bamboo and rattan is great as a focal point in a room. These are essential items for a house. Not only can they be stylish and decorative, they also serve a very important function: Keep sunlight out of your house. And by keeping unwanted light out, they also help you keep heat out of your house. 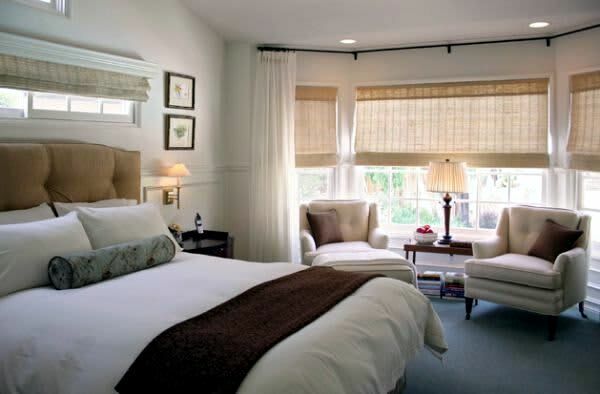 Especially if you live in regions that have extremely high temperatures during the summer months, some good curtains that keep your house cool will be crucial if you want to cut down your electric bill. Shades, blinds, and curtains in bamboo have always been used for centuries because they combine elegance, uniqueness, the beauty of nature while protecting you from the heat. This is also one of the easiest ways to get the perfect texture contrast if you don’t want to make major changes inside. 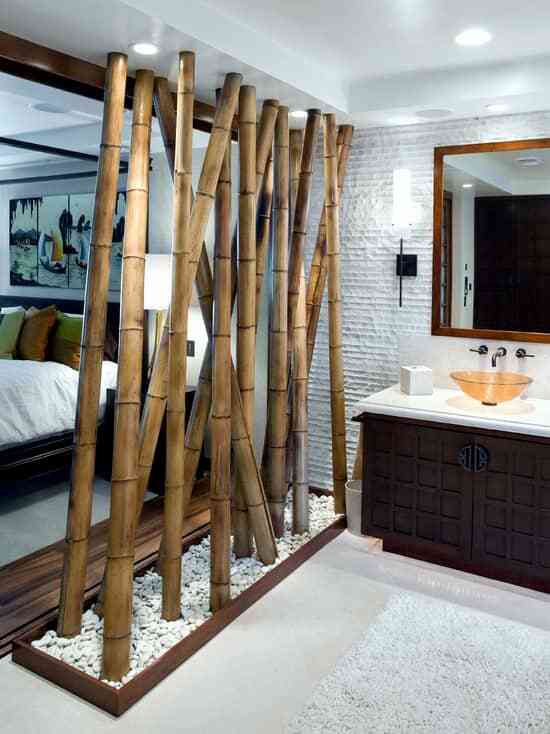 Using bamboo as a partition between the bathroom and the bedroom can give your space an exotic look. Since bamboo is water-resistant, you don’t have to worry about having damage to the quality of the bamboo wood. 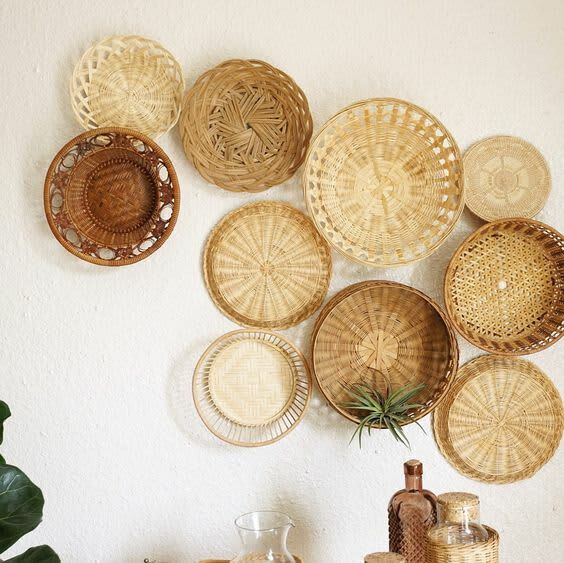 Bamboo/rattan decorations can make a dramatic impression on your home. 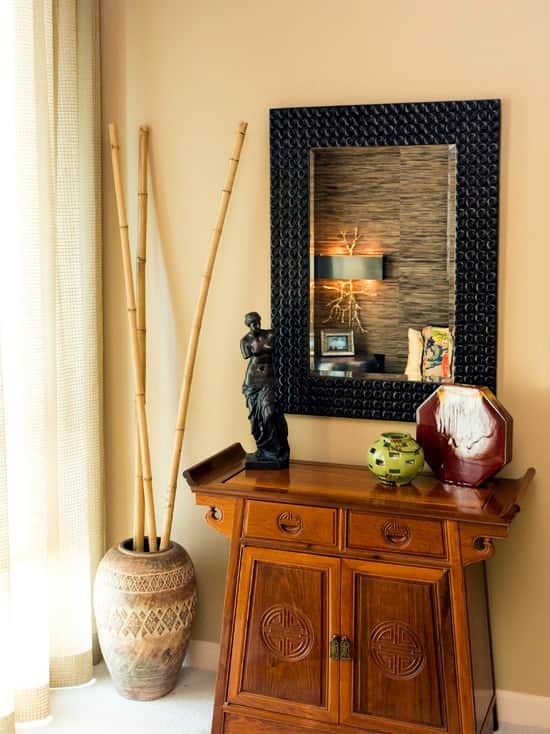 Adding an exotic elegance to any room, decorating with them will bring memories of some long-ago vacation somewhere tropical or dreams of visiting the mysterious beauty of Asia. Wall decorations are also great options that make your house more eye-catching and aesthetic. Instead of expensive art prints, you now have a much more economical choice but still unique and impressive. If you want to move beyond small adding and make a bold statement, don’t hesitate to have an adventure with bamboo/rattan furniture. Since these materials are so versatile and durable, they are investments that will retain their beauty and value for many years to come. Another great thing about these materials is the way they instantly inject texture into a room. So if you have a neutral color palette, and want to add depth and dimension, woven bamboo/rattan furniture is a good way to do it. You can also use a bamboo bed to give the bedroom a tropical island vacation touch. Ultra-durable and very sturdy, they will serve you well for years to come. Hope you could gain inspiration and give these beautiful and environmentally friendly materials a try after this blog. Go natural lovers! South Korea's cafe shop interior design: What can you learn from it?